Here's Part 2 of my series on why you must market your editing and proofreading business. The alternative is premised on the idea that you can market yourself into a position of choice. Here in Part II, I take a closer look at the benefits of proactive marketing. I position this within a framework of business ownership that takes responsibility and shuns entitlement. Marketing is about being interesting and discoverable. If enough potential clients can find you (i.e. you’re discoverable) and are persuaded to contact you (i.e. you’re interesting), you can, over time, put yourself in a position whereby you can turn down the work that doesn’t fit (because of the fee or otherwise), and accept the work that does – and have a full schedule to boot. One fictive example, with a bit of maths! The following is based loosely on my particular situation – I’m a proofreader who works on relatively uncomplicated book-length projects that take around a week to complete. I do take on shorter pieces of work and fit them around my larger projects, but, for the most part, it’s a project-in/project-out workflow. 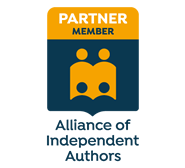 I specialize in working for independent authors, academics, students and publishers. I do a little bit of work for businesses and marketing agencies on occasion, but these clients don’t make up the bulk of my working week. Let’s say that 90% of the new clients who contact me want to pay less than I want to earn. That means that only one in ten jobs will pan out. For simplicity, let’s give each month twenty-two working days (I like to take weekends off). Let’s also say that I can fit in roughly one book-length job in five working days, plus perhaps one or two smaller jobs if required. Let’s imagine that I’m not as interesting and discoverable as I could be, and am not being found by potential new clients on a regular basis. I receive ten offers of work every two months. Given that 10% of the jobs will pan out into work that pays what I want it to pay, that’s one hit in that two-month period. I consider the remaining nine jobs to be poorly paying. However, because I’m not being found and asked to quote as often as I might be, I don’t have any other hits in the bag. I don’t want to be without work for the bulk of those two months, so I accept the nine lower paying job offers, and feel a bit sorry for myself, consoling myself with the thought that at least I’m being paid something. Then I go and get myself that extra-big hug from my partner and wait for my sympathetic friend to say ‘poor you’. Now let’s imagine that I actively market my business on a regular basis. I receive an average of thirty offers from new clients every month. As before, only 10% pan out into confirmed work that pays what I want it to pay. That’s fine, though, because that 10% is enough to fill my schedule when taking into account offers from existing well-paying clients. Those existing clients are paying us what we want to earn – they’re people who have already discovered us and considered us interesting enough to hire and rehire. They provide an additional safety net that enables us to make choices. The point is that the more offers you receive, the stronger your position. You can afford to say no. Any percentage of a big number is a very different proposition from that same percentage of a small number. Proactive marketing gives you the numbers. Bigger numbers mean you have a higher chance of more hits (confirmed work that fits your financial needs). If you’re in a situation where you’re being forced to accept work that doesn’t pay what you want to earn, you need to increase your discoverability, or improve your interestingness, or both. My colleague Rich Adin sums it up rather nicely: 'The primary difference between proactive and reactive marketing is that proactive marketing makes sure you can say no while enjoying the higher rewards when you say yes, whereas reactive marketing ensures that you will never be able to say no and will always “enjoy” low rewards that force you to constantly say yes when you want to say no. No is empowering and proactive is empowerment​' (Adin, personal correspondence, 2016). I acknowledge that some editors’ workflows will look very different to mine. You may be someone who works on complex long-term projects that take weeks or months to complete. The project fees will run into thousands rather than hundreds of pounds. This kind of specialist work may mean you are always going to be dealing with a smaller pot of hits and misses than a proofreader with a more straightforward workflow. For you, the numbers will look different, and negotiation may play a larger role when considering how to handle fee issues. The principle stands, though – however different your business model is to mine, if you aren’t getting enough hits, then you will still benefit from marketing yourself so that you increase the size of your pot and, thus, the proportion of confirmed jobs that pay what you want to earn. Expecting others to take responsibility for the success of my self-owned editorial business is a path to failure. My colleagues are obliged to look after their interests. My clients (and potential clients) are obliged to look after their interests. I’m obliged to look after mine. Even established editorial business owners should be actively promoting because they can’t predict how the market will shift over time. A profitable client today could be a loss-making client tomorrow. Ultimately, expecting clients to fall in our laps because we’ve decided to go freelance is employee-like thinking, not business-owner thinking. Considering rates in terms of what’s fair, and what’s respectful is unhelpful. It shifts the freelancer’s focus from one of professional business-ownership to one of entitlement. When you’re self-employed there’s no room for entitlement. If you’re still not convinced about the value of marketing, think about some of the TV, radio and direct-mail advertisements by well-known brands that you’ve recently encountered. They haven’t stopped marketing their products and services because they already have lots of buyers. Rather, they’re still looking for new customers who value what they offer. So should we. Sometimes the potential client and I will find a place where we’re a good fit, but often we won’t. That’s fine. I don’t begrudge those potential clients who offer me jobs with fees that I think are too low, or those who ask me to quote but choose to go elsewhere (perhaps they like someone else’s price better, or they think someone’s a better project fit) because that’s their informed choice. If I market my business effectively, their choices won’t affect me because I’ll have enough offers of work that are a good fit from elsewhere. Being discoverable to a bank of potential clients who are prepared to pay you what you feel you are worth enables you to take a positive and forward-looking view of your business, rather than expending negative mental energy on how you’re worse off in real terms than you were X number of years ago. Being the owner of an editorial business means building regular marketing into the foundations of running that business. When we do things to maximize our discoverability and interestingness, we work towards choice. Regular, proactive marketing gives you a bigger pot from which to pick a smaller number of well-paying, schedule-filling hits, some of which will turn into repeat clients. ​No choice, on the other hand, means settling for what’s on offer. Just remember that those extra-big hugs and sympathetic ‘poor you’s aren’t billable.